St. Louis may be famous for its Gateway Arch, but did you also know that it’s one of the top LGBT-friendly cities in the country? The people of St. Louis know how to have a good time, and they want to share the best of their hometown. Known for its in-the-moment attitude, extensive cultural attractions and flourishing nightlife, St. Louis is a city with an eccentric and vibrant LGBT community with plenty of unique activities and events for families or individuals. As the home of one of the Midwest’s largest Pride Fests, St. Louis is proud to be selected as one of the entries in the book, 50 Fabulous Gay-Friendly Places to Live, and is equally proud to have been named one of Advocate magazine’s top 10 LGBT-friendly cities. The Gateway City has a rich LGBT history, which includes a vibrant post-WWII community and the 1969 founding of The Mandrake Society, the city’s first LGBT rights organization. Check out more of the history of LGBT St. Louis at the Missouri History Museum in the Seeking St. Louis gallery. More information about St. Louis’ dynamic LGBT and allied community is available in The Vital VOICE—St. Louis’ premier LGBT publication. Check out the LGBT section for more information on neighborhoods, festivals and events. Opera, repertory, Broadway shows, classic musicals—no matter what live entertainment options appeal to you and your travel companion, you can find a Playbill with your names on it during your St. Louis getaway. You and your pal can experience a festival of music at Opera Theatre of Saint Louis’ season in May and June. The acclaimed company puts the best young talent on stage to sing classic and contemporary works in English. Lovely garden parties precede the shows, creating a magical experience for two. The theatre, located in suburban Webster Groves, is also home to the Repertory Theatre of St. Louis, which stages shows from fall through spring, including a delightful holiday offering. The Rep, one of the longest-producing repertory companies in the nation, is 50 years old and still making a scene during its golden anniversary season continuing in spring. STAGES St. Louis, in the Kirkwood neighborhood, performs more than 140 Broadway-quality performances from May through October in the intimate 377-seat Robert G. Reim Theatre. In the Grand Center arts and entertainment district, you can tour The Fabulous Fox Theatre during the day and get tickets for two for an evening show in the opulent showplace. Built in 1929 as a Fox movie palace, the gilded space is first to get Broadway touring productions and other top-notch shows throughout the year. Take your friend to The Fox’s Curtain Call Lounge for elegant pre-show cocktails. Across the street from The Fox, you can choose between an evening with the St. Louis Symphony Orchestra in Powell Hall or a hot night of cool sounds at Jazz at the Bistro, where the world’s top performers jam. 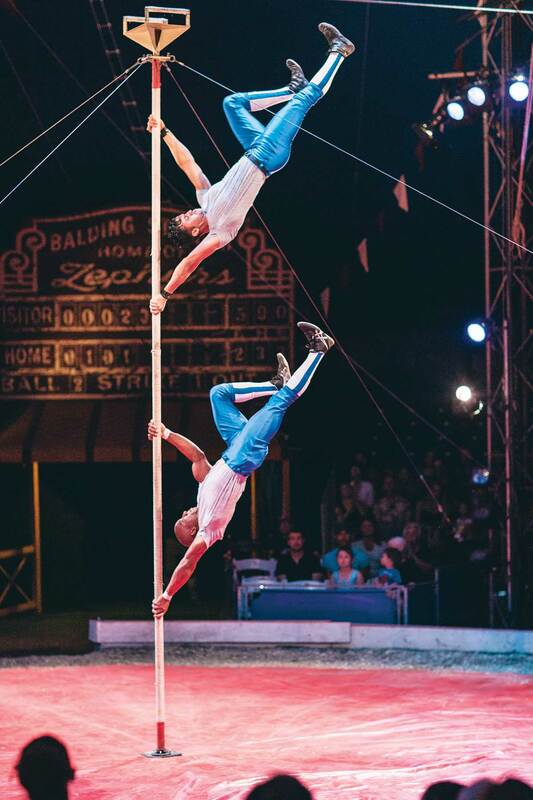 Each summer, the Big Top rises in Grand Center to house Circus Flora, the Gateway City’s own one-ring theatrical circus where you’re never more than a few feet from the action. Live entertainment is tops at downtown’s Peabody Opera House. The beautiful theatre opened in the 1930s and has been restored to offer touring shows all year, ranging from plays and musicals to comedy and concerts. In Forest Park, you can take two seats under the stars for America’s classic musicals at The Muny. A St. Louis tradition since 1917 and the largest outdoor theatre in the nation, shows run from June through August. According to the Bard, “All the world’s a stage.” For three weeks each June, the stage is set outdoors in Forest Park’s Shakespeare Glen when Shakespeare Festival St. Louis presents The Winter’s Tale by the world’s best-known playwright. 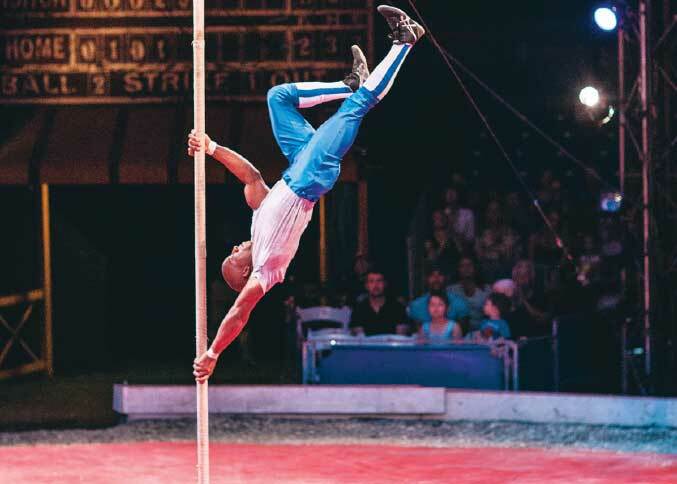 “Joust” for fun, take a trip back in time via a visit to the St. Louis Renaissance Festival. Each weekend from mid-September through mid-October, Rotary Park in Wentzville is transformed into a medieval village filled with madrigal music, Renaissance art and costumed characters. Check out the St. Louis Theater Lovers section for more details on these and other attractions. On a quest for pop culture? The Gateway City bubbles with hip, vintage and touchstone sites for culturally literate cohorts. 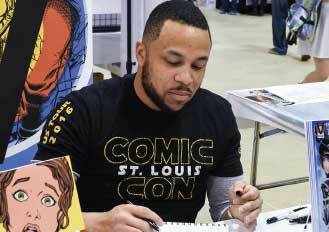 The Loop neighborhood is the epicenter of STL pop-dom. A trek along the St. Louis Walk of Fame provides a brass-plated “Who’s Who” of Gateway City peeps who made lasting marks on American culture. Everyone from movie stars, sports heroes, literary giants and science geniuses are given a shout-out via biographic plaques and stars embedded in the sidewalks along Delmar Boulevard. Taste buds take a sweet trip down memory lane at Miss M’s Candy Boutique and Fitz’s, a soda-pop microbrewery. Collectibles call up childhood memories for Boomers, Gen-Xers and Millennials at Blueberry Hill. The legendary Loop restaurant’s display cases teem with hundreds of nostalgic gems such as 60s TV show-themed lunch pails, The Simpsons dolls and Ninja Turtle tchotchkes. A life-sized statue of Chuck Berry, the “Pop” of rock ’n’ roll, rocks out along the Walk of Fame route. A trek along the St. Louis Walk of Fame provides a brass-plated “Who’s Who” of Gateway City peeps who made lasting marks on American culture. America’s iconic highway, Route 66, meanders through St. Louis. Traveling buddies can stroll or bicycle along the original “Mother Road” bridge across the Mississippi and savor a Ted Drewes Frozen Custard, voted as the world’s best ice cream. Art pops up all over town. A riverfront flood wall provides a mile-long concrete canvas for street artists whose massive, colorful designs make a huge statement on the Graffiti Wall. Works by “tops in pop” artists including Chuck Close, Andy Warhol and Anselm Kiefer pose thought-provoking questions at the Saint Louis Art Museum. Ultra-contemporary and multimedia works inspire at area galleries and within the Pulitzer Foundation for the Arts. Pop-culture pals uncover vintage clothing and home decor finds in Cherokee Antique Row, Maplewood, South Grand and the Central West End neighborhoods. 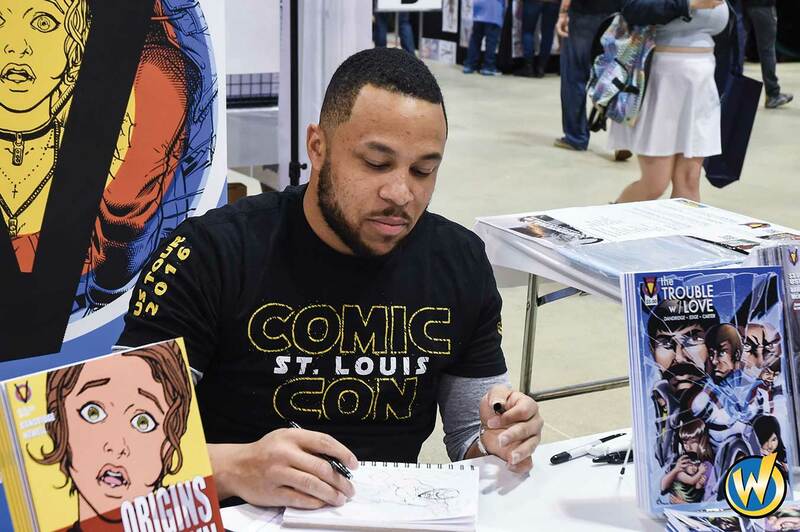 Fan boys and girls should plan a St. Louis trip around the annual Wizard World Comic Con, a three-day pop-culture fest that celebrates TV, movies, gaming and comic books held at America’s Center®. Or, come check out the hottest new exhibits at the Contemporary Art Museum St. Louis. Check out the Neighborhoods section to find the places that match your personality. Bird-watching is the fastest growing outdoor activity in the U.S. and St. Louis is, definitely, for the birds. Birding besties have plenty to tweet about during a Gateway City expedition. Binocular-toting duos migrate here to peep at more than 325 species of wild birds soaring, swimming and nesting near the Audubon Center at Riverlands. 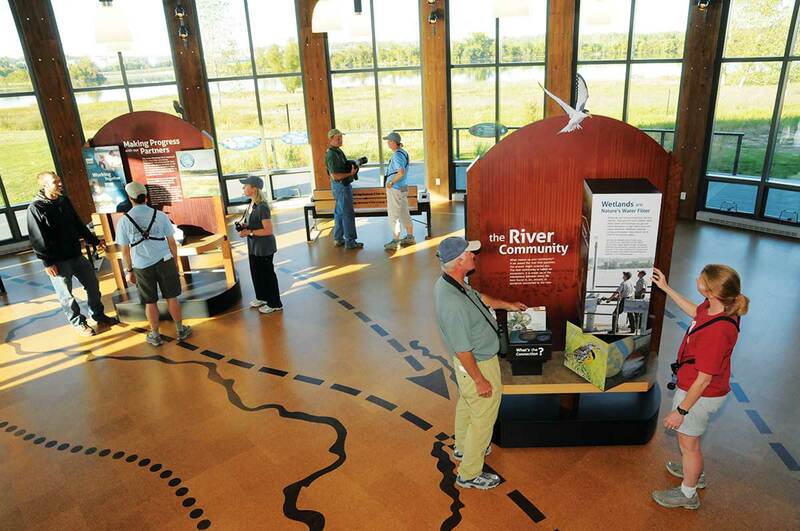 Just 30 minutes from the Gateway Arch, the center is nestled within the Mississippi Flyway, a nationally significant “Important Bird Area” as designated by the National Audubon Society. Birders can spot bald eagles, trumpeter swans, egrets, songbirds and waterfowl during their seasonal visits. Feathered friends also can be found at the Saint Louis Zoo, where the coolest attraction in town is Penguin and Puffin Coast, a habitat for the tuxedoed birds and their big-beaked pals. Take a walk on the wild side through the zoo’s 1904 World’s Fair Bird Cage. The steel structure, the world’s largest stroll-through aviary, is an immersive, lush habitat for birds and other critters from the Mississippi River delta. At Grant’s Farm, BFFs can chirp about educational and amusing bird shows and hand-feed colorful parakeets from seeded sticks. Spotting scopes aren’t needed for up-close views of birds of prey and forest-dwelling flock members at the World Bird Sanctuary. The internationally acclaimed sanctuary rehabilitates injured wild animals and teaches visitors about the important role birds play in the environment. Here’s something to flap about: admission to these high-flying attractions is as free as the birds. 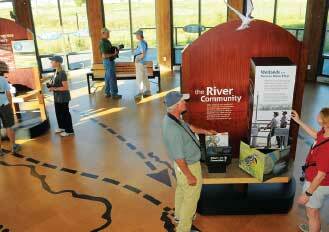 Check out the Day Trips section for more fresh-air excursions.